How you can find your Soul Mate. 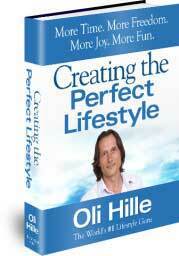 The full chapter on Soul Mates will show you how to attract your dream partner for life. Finding the right person to share your life with is probably the most important decision you will ever make. You cannot hope to find the right person if you don’t know who you are and where you are heading. Invest time in finding out what really makes you excited and holds your attention. Work out what you believe and why. Until you get to that point, don’t dream of making a life-long commitment to someone else! It is so easy in the beginning to see all the similarities you share. Someone likes you and you like them. Their voice sounds like beautiful music and their smile lights up the room. You daydream about them all day long and you start writing poetry! But STOP! That isn’t enough to base a lifetime commitment on. You need to really and truly get to know and understand that person. Anyone can pretend to be anything they want to be for a few months and both parties are always on their best behavior for the first few months. Everyone is the average of the five people they spend the most time with. Who are their closest friends? Who are their role-models? Who are their heroes or heroines? That is what they are really like and what they are gravitating towards. Get a new exercise book and write down all of the wants and must-haves of the person you are looking for. Be as specific as possible. Give as much detail as possible. Imagine your perfect match and write down everything about them. Then write a list of all of the things your soul mate must not be. All of the habits, attributes, and attitudes you don’t want them to have. Once again give details and be specific. If you can’t stand people who answer their mobile phone during dinner, write it down! What do I have to do and be in order to attract that person into my life? Let’s be honest for a minute. If you have just described a near perfect human being with a sparkling personality and every wonderful gift, are they going to be interested in you? If you settle for mediocrity, don’t care much about your appearance, have a host of bad habits are you going to attract your dream soul mate? The most important part of this exercise is to ensure you are worthy of the soul mate of your dreams. If you are not there yet, it is time for you to go to work on “you”.